Once upon a time, there was a Solar System. 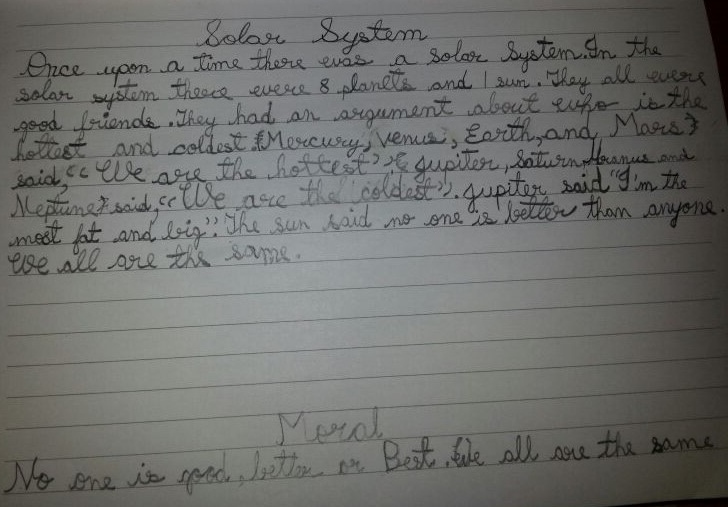 In the Solar System, there were eight planets and one sun. They all were good friends. Sankalpa Mahanta is 7 years old and lives in New Delhi. 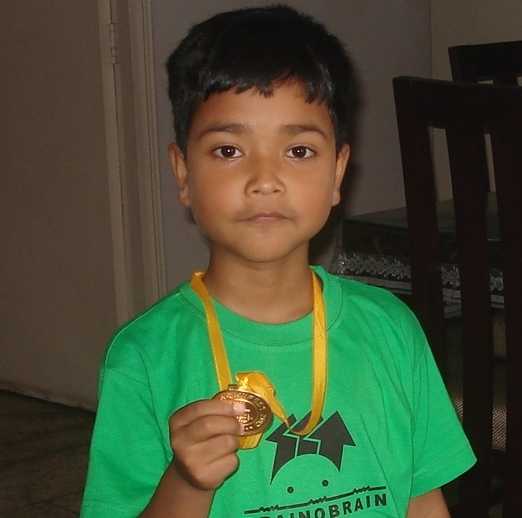 He is a student of Class III in Maxfort School, Dwarka. He is interested in space and presently obsessed with dinosaurs. Naturally, his current aim in life is to be a paleontologist.